What is Included in the Square Footage of a Home? Building a new home, whether you contract the construction with a custom home builder (General Contractor), or buy a new house under construction in a development, is a complex and expensive project. There are many decisions to be made. 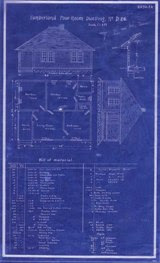 HomeBuildingInformation.com has great home building tips, home building information, home building do’s & don’ts, and home building advice for you about building a new house that will save you time, money and stress as you progress through the decisions that occur in the home building process. What does it really cost the Builder to build my home? How will I know how much house I can afford? How do I find a good Builder, and what is a “good” Builder? How do I know I got a good quote from a builder? If you can’t find exactly what you are looking for, use the Google Custom Search at the top of any page. Just type in 1 or 2 key words and you should find what you are looking for. It really, really pays to be an educated consumer for the most expensive product you will ever buy.